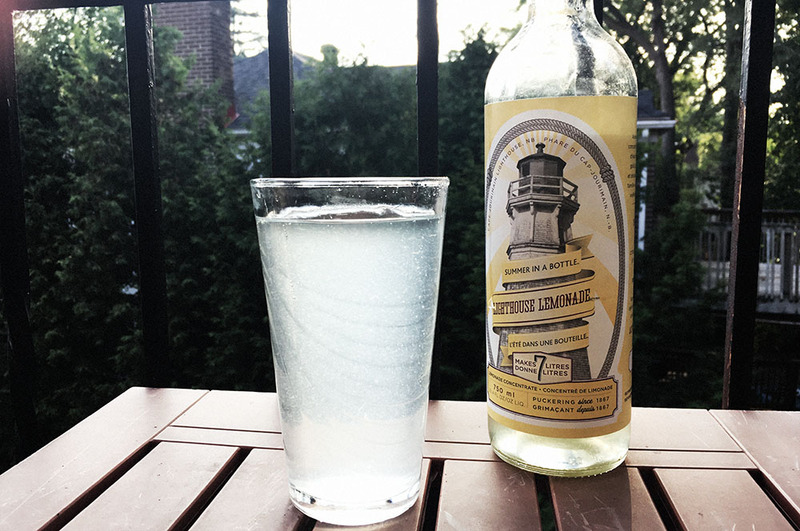 Lighthouse Lemonade is made sustainably in Fergus, Ontario with freshly-squeezed juices. It is a concentrate, rather than a “drink from the bottle” style lemonade that is low in sugar and carbs. You can mix the concentrate with still water or club soda/sparkling water, depending on your preferences. You can also throw a splash or two of your favourite cocktail spirit, if you’re feeling adventurous. I tested out the lemonade with both club soda and still water. Made with club soda, it had a nice light lemonade flavour. Refreshingly tart with added bubbly pep. The bubbles made it feel like a soft drink – like a more lemony sprite. Tart, the strength of the lemon flavour I had was made for sipping. The beauty of Lighthouse Lemonade though, is that you can adjust the lemon flavour strength as you prefer, so that your glass is always perfect. Next up, I tested it out with still water, using the same ratio of concentrate to water. This produced a milder flavour that tasted more blended/mellow. The lemon and citrus subtly refreshes, rather than smacking the lips. Soft, with a tart finish, it reminded me of the lemonade they sell in green cartons at the grocery store (in Montreal, just in case it’s a regional product). Since I love that lemonade, this means Lighthouse Lemonade is perfect for me. Lighthouse Lemonade founder Jill Fisher is a recent recipient of the 50 Over 50 Award, celebrated for her entrepreneurship, philanthropy and innovative ideas.